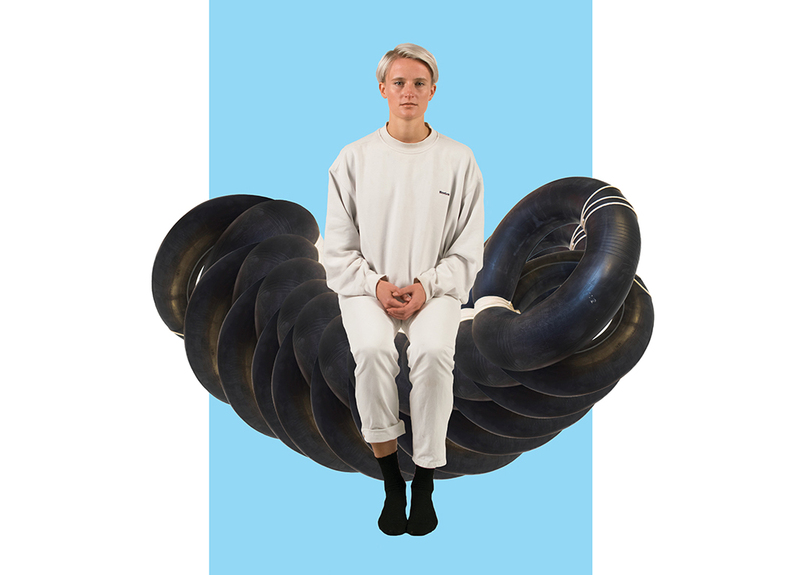 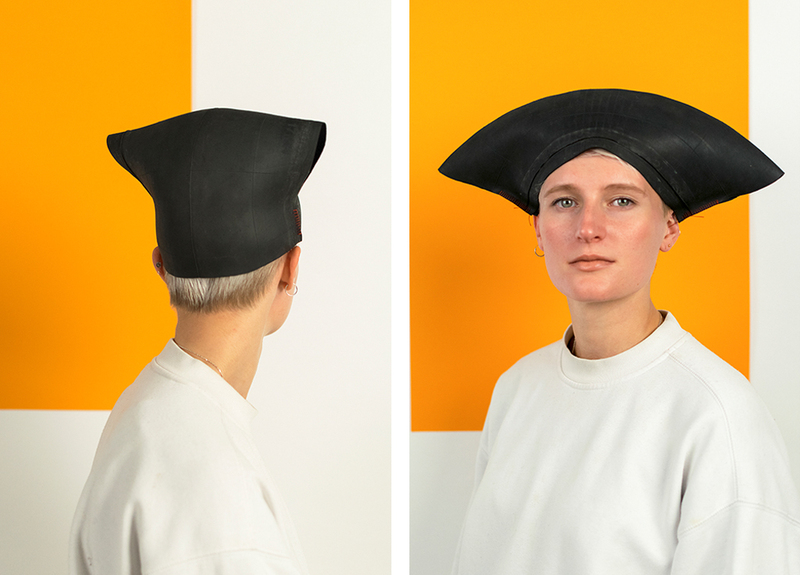 Italian designer Michela Segato recenty graduated from the Design Academy Eindhoven.In her project ‘The Condition of Air’ she reimagined the future of inner tubes. 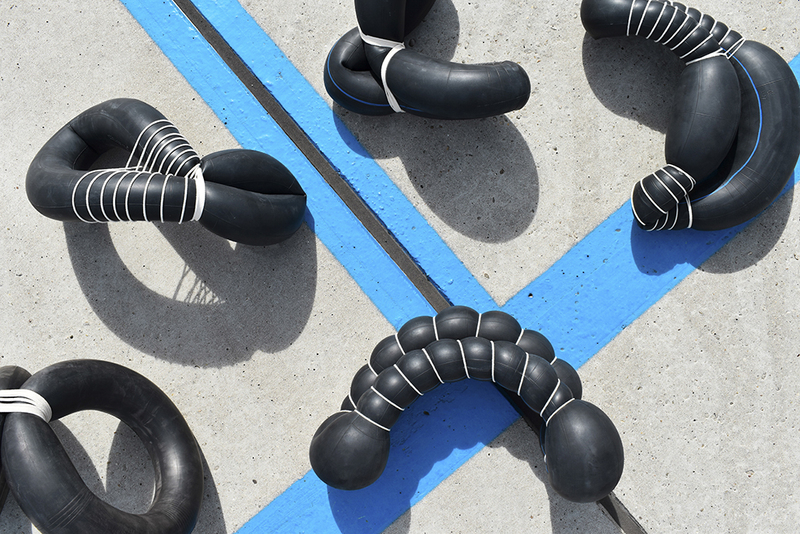 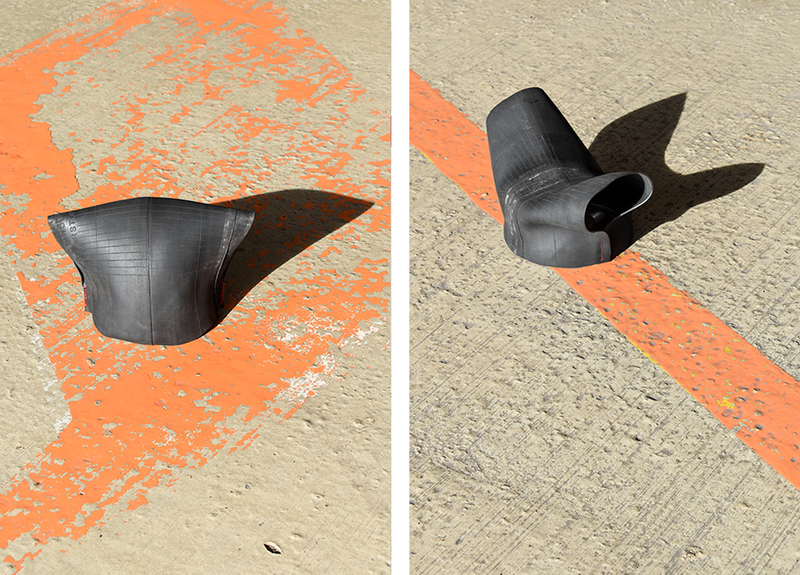 Inspired by the abundance of abandoned inner tubes, Michela questions the short lifespan of products reconsidering their role by rethinking our resources instead of producing more. 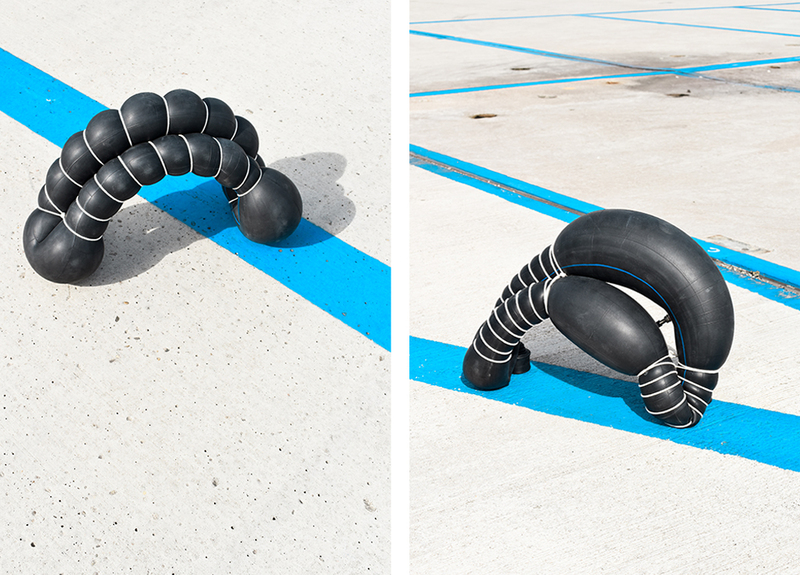 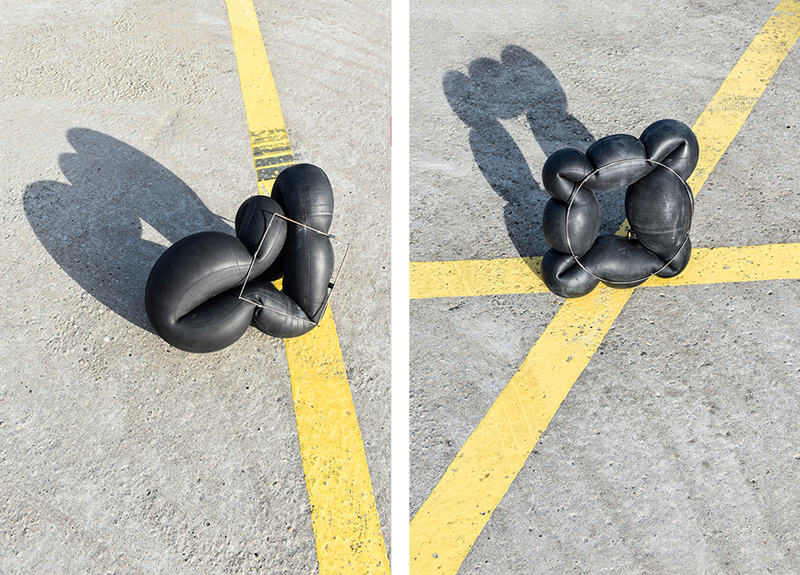 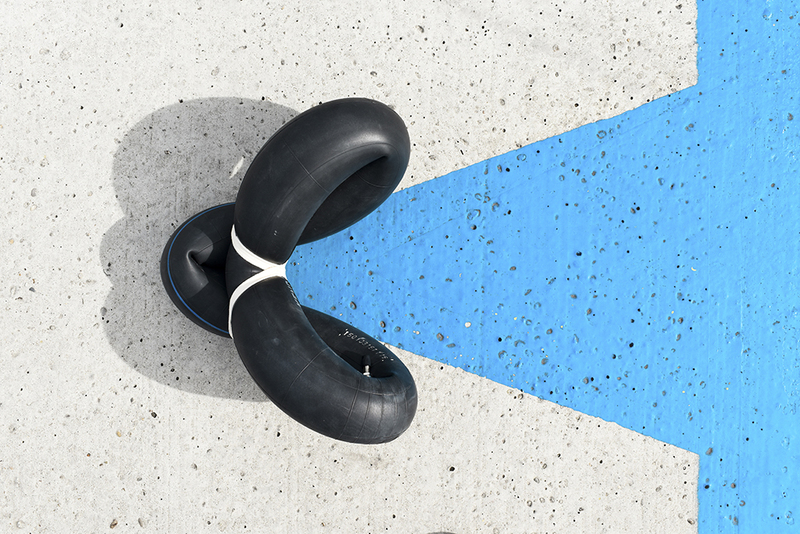 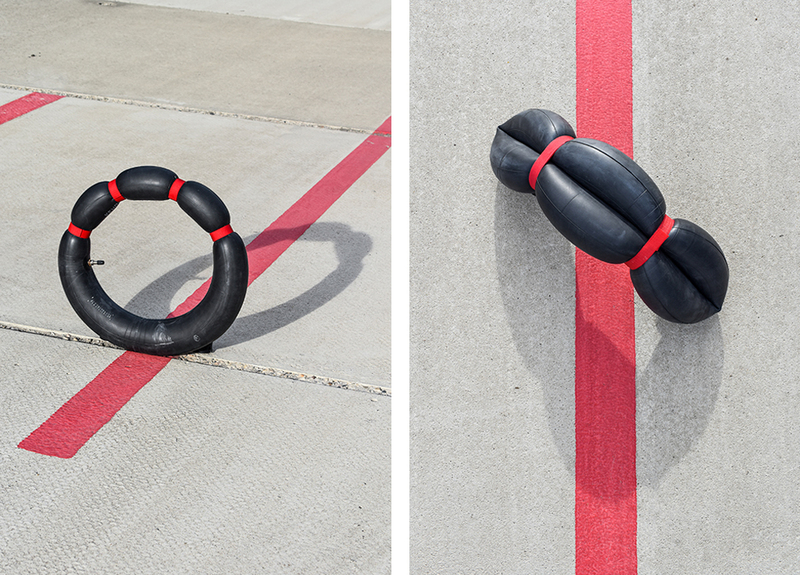 ‘The Condition of Air’ is an ongoing research investigating the intrinsic possibilities that inner tubes posses, looking beyond their traditionally assigned usage. 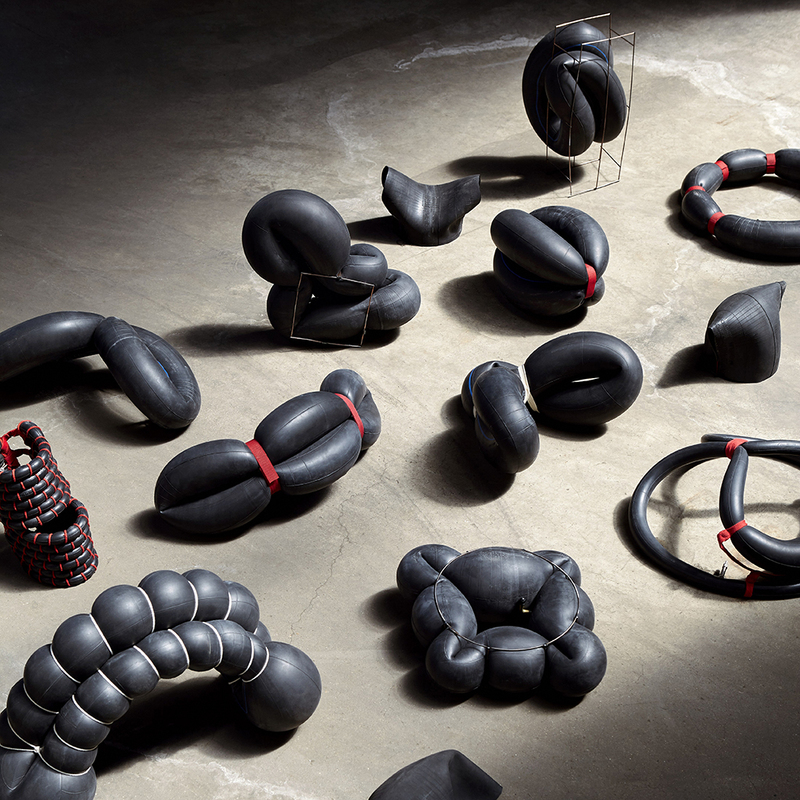 Based on the belief that disposability should be accompanied by reinvention, Michela celebrates the resourceful qualities of vulcanised rubber. 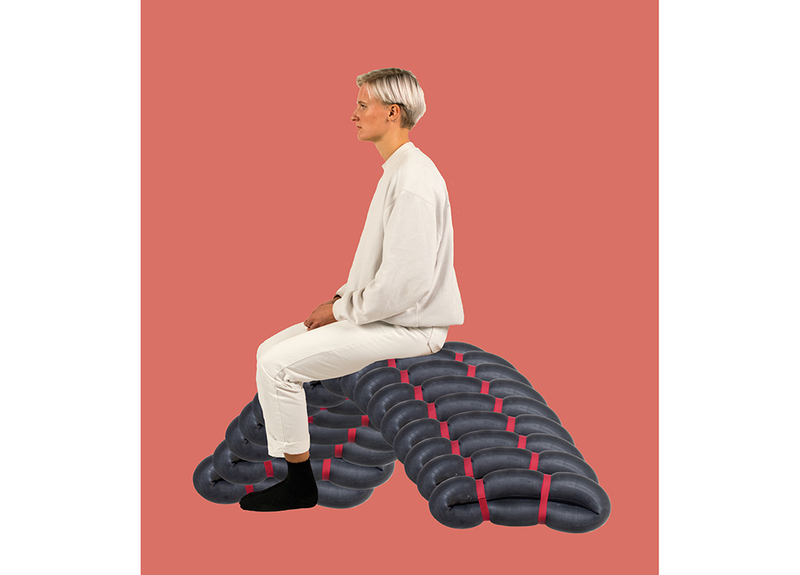 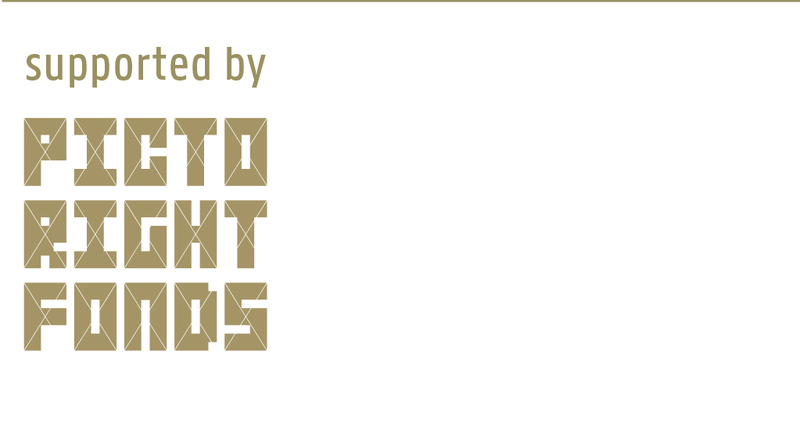 The archive of possibilities that emerges from this research highlights the longevity of this product and demonstrates that de-contextualisation leads to new possibilities and discoveries. 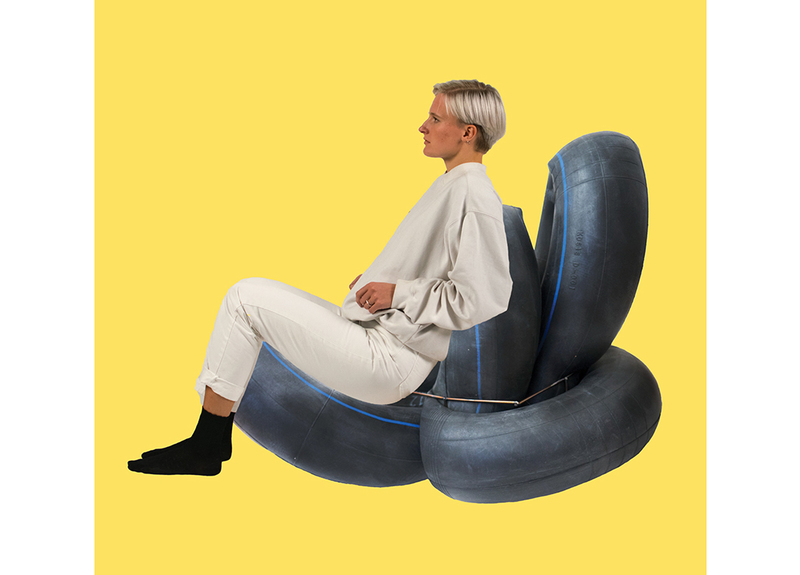 Through binding, restraining and cutting, the tubes are reinvented, inviting us to take a different point of view on this humble product.